Trump Trillion-Dollar Infrastructure Package Likely to Be Delayed Until MañanaNice as Trump’s infrastructure talk has been, there’s no plan, no money, and no momentum for it at present. So looks like it’s on the back burner. Trump to Tackle Deficit With Imaginary Growth, Elimination of Popular ProgramsThe president is poised to pay for his tax cuts by baselessly assuming 3 percent economic growth and eliminating public broadcasting. Red-State Democrats Not Rushing to Help Republicans Just YetThe GOP assumed that Dems from pro-Trump states might be of help in the Senate. It’s not looking that way. Trump Leaves Republicans in the Dark About His — and Their –- PlansRepublicans meeting in Philadelphia were confused about their agenda and in dire need of presidential guidance. Instead they got a campaign speech. Report: Trump Team Preparing $10.5 Trillion in Budget CutsFunding for renewable energy, preventing domestic violence, the arts and humanities, and civil-rights enforcement would all be slashed or eliminated. GOP Took Another Small Step on Repealing Obamacare. It Gets Harder From Here.Now begin the really challenging questions. Why Cory Booker’s Midnight Vote on Drug Importation Is Getting So Much AttentionTo the alarm of progressives, he is apparently bending to the interests of wealthy donors even as he is rising to Democratic stardom. Senate Gets Ready for an All-Night ‘Vote-a-rama’ on ObamacareIn a quirk of the budget process, Democrats will get a chance to offer many, many amendments to the repeal blueprint. Ryan Confirms the ‘Obamacare Repeal’ Bill Will Also Defund Planned ParenthoodWith congressional GOPers now broadening the scope of the budget bill that repeals Obamacare, Democrats can begin efforts to protect popular programs. The Democratic Plan to Fight Obamacare RepealThere’s no doubt the GOP will gut the health-care law. But Democrats can complicate the process and inflict some political damage. Four Potential Stumbling Blocks for the New Republican CongressIncluding Trump’s perverse unpredictability and the limits of objective reality. House Passes $600 Billion in Tax Cuts in First Round of Budget DealThe tax bill skewed heavily toward GOP priorities but offered Democrats tax breaks for working families and green energy. For the Budget Shopper: 17 Quirky, Cute Gifts Under $40$12 opera tickets, penny books, and design-blogger pushpins. Obama to Republicans: You’re Right, Let’s Expand the Earned Income Tax CreditPresidential budget trolling. 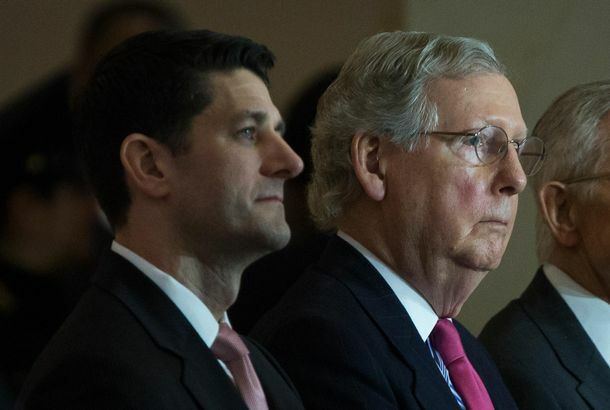 Congress Reaches Deal to End Budget Chaos, Angers ConservativesThough it reduces the deficit by $22.5 billion over the next decade. White House Chef Prepares for Furlough Owing to Budget CutsHe cooks for Obama several nights a week. Cuomo’s New Tax Break Just Happens to Cover The Tonight ShowIn case NBC was thinking about moving it to New York, which it is. Boehner: Let’s Destroy Math Instead of the EconomyA fair trade. John Heilemann on Hardball: Trying to Build a ‘Fair Budget’President Obama vs. Paul Ryan, round 1,000. House Passes Dead-on-Arrival GOP BudgetA campaign sneak preview. 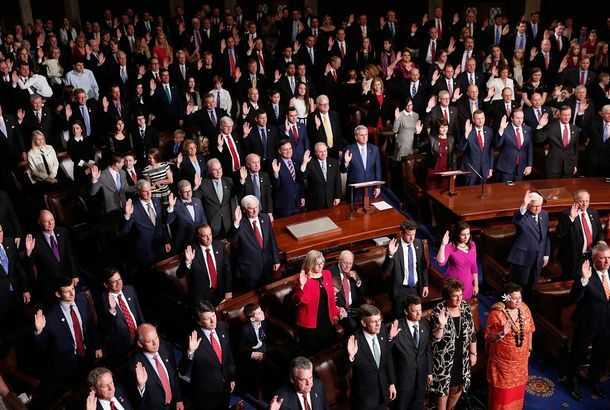 House Passes Budget CompromiseDemocrats make the GOP sweat. Is the GOP’s Debt-Reduction Plan Courageous or Dangerous?People disagree! Americans Overestimate Amount of Foreign Aid in Budget by 900 PercentObviously? John Boehner Caught Between Barack and a Tea PartyCan he craft a deal that appeases both the White House and the tea party? Congress to Pass Another Short-Term Budget BillGovernment shutdown averted, for now, again. House Passes Budget BillDemocrats were split. Wisconsin Assembly Passes Anti-Union Bill in Late-Night Sneak AttackThey sprung the vote on sleep-deprived Democrats. Who Will Be Blamed for the Government Shutdown?The one that became more likely today. Centrists Take Aim at the Budget’s Sacred CowsDaring to touch the third rail of politics. The New York City Apocalypse ManualApocalypse Now: The Manual. Obama’s 2012 Budget: $1.65 Trillion Deficit Means More Cuts, Less StimulusIs that the biggest deficit ever in your budget, or are you just unhappy to see me? Bloomberg, City Council Agree on NYC BudgetTax increases avoided! Revenue Report: It’s a Good Thing the Newspaper Industry Signed That DNRNewspapers’ ad revenue last year experienced the worst drop in fifty years, the industry’s watchdog group is reporting, and there’s not much to indicate a turnaround.